Based on the theory and practice of biodynamic psychology and psychotherapy established by eminent Norwegian Clinical Psychologist Gerda Boyesen over 60 years ago, biodynamic medicine is an evolving field which takes into account recent and ongoing discoveries in neuroscience as well as ancient knowledge in both eastern and western traditions. 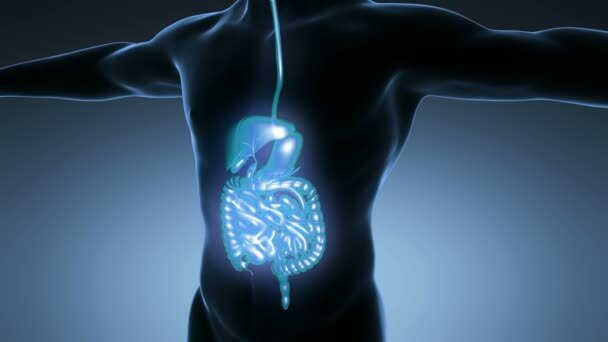 Perhaps the most significant of these findings is the discovery that the brain and the gut are intimately connected in a two-way flow, and that each play a crucial role in recovery from trauma and stress, a scientific confirmation of Gerda Boyesen’s pioneering work. Mary Molloy, Founder of the Institute of Biodynamic Medicine, has developed new clinical protocols from the combination of core biodynamic psychology theory and practice and recent research findings in neuroscience. This approach brings a radical new dimension to total wellbeing. A recent discovery in neuroscience is that the brain has its own clearing or draining system known as the ‘glymphatic’ system, so-called because it is regulated by the brain’s glial cells. In addition, the role of the heart as the regulator of coherence and compassion and the brain – heart - gut connection - linked by the vagus or “wandering” nerve – is crucial. By applying new knowledge and information and using simple and precise biodynamic treatment protocols, the glymphatic system can be ‘drained’ of unnecessary waste products and the vagus nerve can be gently stimulated, activating the parasympathetic nervous system and bringing us to “rest and digest” after a busy or stressful day or traumatic event or situation. Your head can literally be cleared of underlying tension or worries, so that your heart can relax and your gut can digest life events and unwind, clearing the way for you to make up your own mind, follow your heart, and trust your gut instinct. Biodynamic practitioners work to restore the natural flow of life energy between the brain, heart and gut. (bio - dynamic – movement of life-energy). This can sometimes get trapped or stuck in the body due to shock, trauma, injury or illness. They work with the core understanding of the link between the brain and gut, mind and body, and use a range of methods including biodynamic psychotherapy and specialised biodynamic massage to ensure reconnection of this flow. This specific combination of mind and body work is what makes the biodynamic work unique. ‘Rooted talking’, verbal emptying, talking things through helps to re-connect our cognitive functions and ease our head and mind. Our work with touch and the physical body supports grounding and a genuine feeling of being supported and become fully embodied. During a biodynamic treatment, a loudspeaker stethoscope is placed on the abdomen of the client to listen to the sounds of the gut (tummy rumblings) which are an indication of the restoration of "psycho-peristalsis" - the body's innate healing mechanism. A stressful lifestyle or unresolved traumatic events can lead many of us to live with our natural survival mechanisms in constant freeze or startle mode. Psycho-peristalsis is the key to restoring flow, and when it is working at its optimum level, regulation of the normal life-saving 'fight and flight' or 'freeze' mechanisms are as they should be - activated only when needed. Our feelings are deeply rooted in our body and it is this intrinsic connection that even when only slightly out of balance, can make us feel as if all is wrong in our world. We could consider that the break down in flow of this vital connection could be the basis for all dis-ease as we are not at ease in our beings any more. Without care and attention this is how things “become the matter” and sadness, fear, anxiety, depression dysfunction or illness materialises. A series of treatments can systematically “empty” the nervousness that has built up in the body and mind and restore balance - making us feel more resilient to face even the hardest of life’s challenges. During biodynamic psychotherapy - "talking therapy" - we do not “go into’ things that may have already happened – we cannot change the past - but rather we focus upon “getting it out” that is, ensuring that the effects and residues of traumatic experiences are eliminated from the whole system, body and mind. By talking things through, we can work them out – and it certainly is important to speak about what matters to you, but not to keep talking without resolution or completion as this can become very quickly debilitating and exhausting. The overriding aspect which brings all together in the biodynamic approach is the simple principle that we listen to the gut as our diagnostic tool. We actually listen to the body, to the person, on all levels. How does the biodynamic approach help? Biodynamic Therapy is a life choice - a preventative tool to support a system to stay healthy and in flow. Biodynamic Programmes also work on a deeper level to heal trauma, support a grieving process or loss and also support transitions in life such as a new job, a new house, pregnancy, a new baby, end of a relationship for whatever reason, menopause, retirement. We can have the support we need to fine tune where we are at any given time and this understanding in itself can be very supportive and transformational. Pain can be reduced systematically and understanding gained about what it might be telling the body, the person. Gentle holding – of a muscle, of a moment, of a space, and specialised biodynamic ‘emptying’ and ‘deep-draining’ techniques to clear the build-up of biochemical and hormonal waste products arising from stress can bring new strength and resources to weakened immune systems and also organically support what may have become a fragile nervous system to grow stronger. This restorative holding and emptying work can also support children who may need to calm their nervous systems from unnecessary anxiety in order that they can be free to simply play and enjoy childhood. The biodynamic work is all about nurturing, clarifying and self-empowerment . The aim is to support you to come to your full capacity at whatever stage of your life. As tensions dissolve and muscles melt to become more relaxed and supple, so do worries and anxieties diminish. As we begin to feel peace in our body we also start to feel peace and joy in our soul. One person's work can have a global effect which is why we would like to share this wonderful life giving work with you. The last in this Series of Free Open Evenings this autumn takes place in Ballina Arts Centre on Wednesday 28th November at 7 - 9.30pm. Mary Molloy, Principal will introduce and demonstrate this leading edge approach, explain the principles, concepts and understanding behind the biodynamic treatments available and also share self-help skills which can empower you by equipping you with the tools to support your wellbeing and keep you in balance.